Army Spc. 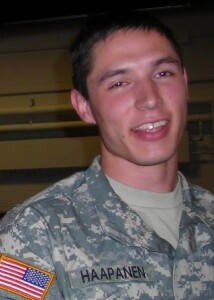 Seth Haapanen - Run for the Fallen New Hampshire, Inc.
22, of Alton Bay, NH; died as a result of service to our country. Seth was born in Great Barrington, MA, son of Richard A. and Linda R. Briggs Haapanen. He attended Berkshire Christian School of Lenox, The Master's Christian School of Pittsfield, and was home schooled during his high school years. Seth spent his high school year’s homeschooled by his mother Linda in MA, then moved to Alton in the summer of 2006. He always had dreams of joining the military and then becoming a local police officer or state trooper. He sent away for anything the Army offered - free duffle bags, hats and T-shirts. His goal was to join the recently formed 237th Military Police Company at the NH National Guard. The 237th MP’s became one of the youngest units deployed in NH history; at least half of the soldiers in the company were 21 or younger. When Seth found out he made it into company, he was thrilled. 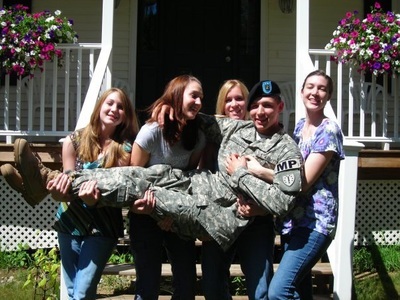 The night before he left for basic training in the spring of 2007, his mother, Linda asked him, “Seth, are you sure you want to do this?” Seth replied, “I’d rather fight them over on their own soil than to be fighting them here on our streets.” He was a protector, said his mother. 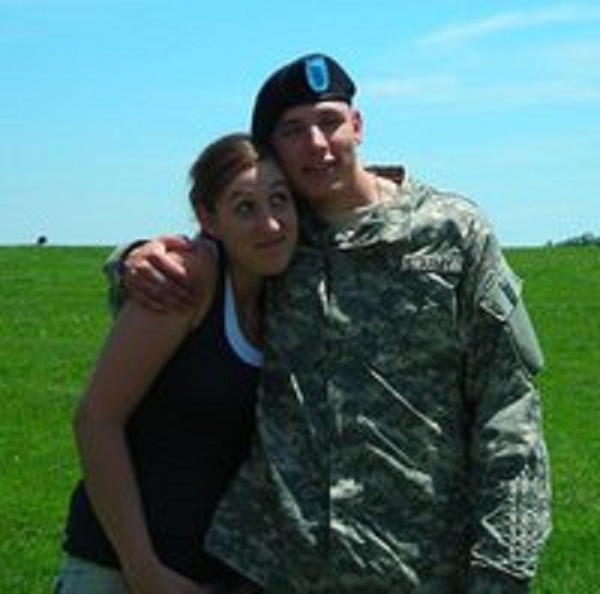 “He liked making sure that people’s rights were carried out.” When the company was sent to Iraq in June of 2007, Seth left with the prayers and the pride of his family. He had just turned 20. Seth’s unit joined the 1132nd MP Company of the North Carolina Army National Guard in Rustamiyah and began training Iraqi policemen. Their schedule was grueling, with their day starting at 0400 at Iraqi police stations. There they worked on presence patrols and were often in the streets on foot, until their day ended around 1800. After four and a half months, Seth and three others moved to Taji to fill out a platoon and support police training efforts there. The forward operating base, north of Baghdad was more rural than Rustamiyah. There, Seth’s unit was attacked several times. On a routine route to an Iraqi police station, the vehicle in front of Seth’s exploded. 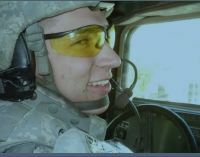 The detonation blew out the front tire of his vehicle and injured team leader, Sgt. Robert Tabares, sitting to his side. The blast rocked Seth’s head and ears. Tabares had to be medically evacuated with severe wound. He was eventually sent back to the states. A second attack only four days later, killed Seth’s roommate, NH Fallen Hero medic Sgt. David ”DJ” Stelmat Jr., of Littleton, NH.. His vehicle drove over an improvised explosive device. Stelmat, Sgt Thomas C. Ray II, the gunner, Sgt. David B. Williams, the team leader, and two Iraqi translators were all killed in the blast, which lifted the truck off the road, rocketing it into the air and igniting the vehicle’s pyrotechnics. Seth arrived early at the scene and became part of the team that later dealt with and collected the five men’s remains. His family encouraged him to get help. Eventually he went to the Chaplain who told him he had Post Traumatic Stress Disorder (PTSD) and probably a Mild Traumatic Brain Injury (MTBI) and he should see a doctor. Seth was waiting to see someone, but in the meantime he continued his combat duties. Taji continued to be a hostile and dangerous area, casualties in his unit also continued to mount. Staff Sgt. Emanuel Pickett died. Then under a week later, Sgt. 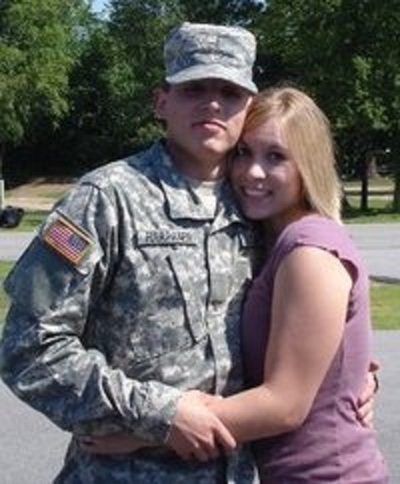 Lance Eakes, who had moved to Taji to replace Sgt. Stelmat, was killed. The emotional toll was devastating for the entire unit. Seth’s friends said that his ever-present smile faded the day that Stelmat died. Seth returned home, in time to surprise his sister Gabriele at her graduation from Prospect Mountain High School in Alton. He walked up on the stage in his uniform, shielded by sunglasses, to a standing ovation from the crowd. Seth took a post-deployment mental health screening with the VA where his Traumatic Brain Injury (TBI) was noted and he was also diagnosed with PTSD. Seth was being treated for both, with his family’s love and support. “The cycle, that we understand was happening, was with the headaches,” said his father. “He wasn’t getting good sleep and the times when he would fall asleep he would wake up many times with nightmares of what he saw.” He continued to struggle with headaches, blurred vision, pain and light sensitivity. His memories, dreams and flashbacks were overwhelming him and he had begun using increasing amounts of alcohol to cope with his feelings and inability to sleep. His VA records state in an “assessment of danger to self” that he posed “no significant risk.” After being home from Iraq for only four months, and despite under-going treatment for TBI and PTSD, Seth took his own life. Seth is survived by his parents Richard A. and Linda R. Briggs Haapanen, four sisters;, Rachele Sleep, and husband, Michael; Michele Hawks, and husband, Robert; and Gabriele and Noele Haapanen, maternal grandmother, Ruth Briggs and his extended family.